In the opening paragraph of the Haggadah recited at the Seder, we declare: "All who are hungry, let them come and eat." In reality, however, most of the people who are hungry will not be standing in our dining rooms as we begin our Seder, waiting for the invitation. As such, in preparation for the Passover holiday, it is age-old Jewish tradition to contribute generously towards funds that ensure that indeed everyone who is in need has the necessary provisions for the holiday—food, matzah, wine, festive clothing, etc. This special Passover fund, originally intended to provide the poor with matzah, is known as ma'ot chitim, "the wheat fund," or kimcha d'pischa, "Passover flour." 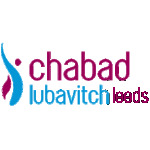 You can give Maot Chitim in Leeds online! To make a secure donation for your Pesach Maot Chitim, please donate via paypal using the Donate button below. Paypal accepts all major credit cards and you do not need a paypal account to donate. Please note that clicking this link will take you to an external site.